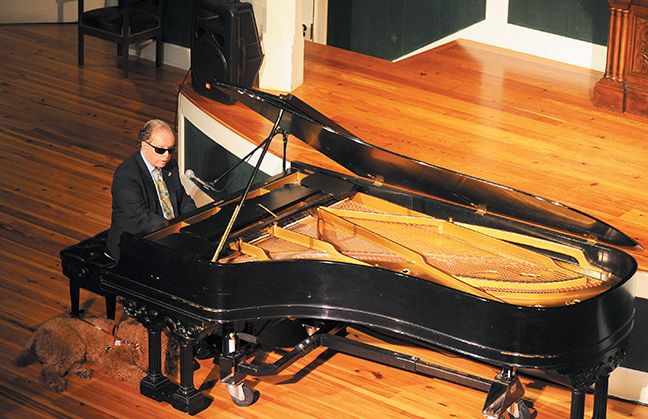 On Sunday, July 14, beloved Island pianist David Crohan will give a concert with all proceeds to benefit Island Elderly Housing’s Quality of Life Programs. The event takes place at the Old Whaling Church in Edgartown. Doors open at 6:30 pm; the program begins at 7:30. Joining Mr. Crohan onstage is emerging young singer/songwriter Caroline Sky. A California native, Caroline summers in Edgartown with her family. Island Elderly Housing, Inc., (IEH) provides homes to 165 residents. IEH’s Quality of Life Programs include weekly and holiday meals, bringing residents together as a community, and for residents who no longer drive, the program funds the Blueberry Van, a service that helps residents maintain their independence by providing rides to appointments, errands, and other engagements. There will be a Meet the Artists reception following the performance.